At their most essential, our Community Fires are a regular gathering of local community around the fire. Within the sacred space that Fire provides, we share our lives and our gifts. As we gather together at the Community Fires, we begin to stoke the internal fires and allow the dry wood within, the places we are stuck in our lives, to be moved, shaken up, transformed. Whether quiet and contemplative, emotional and challenging, or raucous and irreverent, each time around the Fire provides many opportunities for us to open to the transformation and wisdom of our hearts. Stories and music, laughter and jokes, connection and conflict are shared and embraced. Over time, the gifts of Fire unfold in our lives. 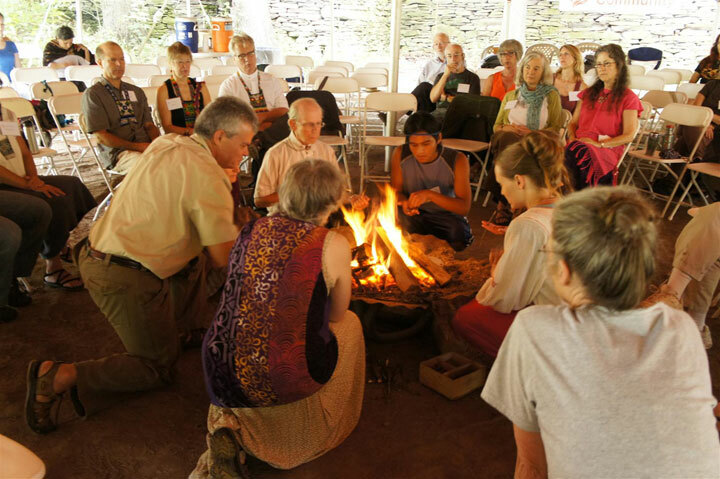 Sacred Fire Community Fires are open to people from all walks of life and from all traditions. Come join us. Discover the path of Firekeeping.